In the tradition of The Adventures of Peter Rabbit, this is a "garden tale" of farmer versus vermin, or vice versa. The farmers in this case are a vaguely criminal team of three stooges: "Boggis and Bunce and Bean / One fat, one short, one lean. / These horrible crooks / So different in looks / Were nonetheless equally mean." Whatever their prowess as poultry farmers, within these pages their sole objective is the extermination of our hero--the noble, the clever, the Fantastic Mr. Fox. Our loyalties are defined from the start; after all, how could you cheer for a man named Bunce who eats his doughnuts stuffed with mashed goose livers? As one might expect, the farmers in this story come out smelling like ... well, what farmers occasionally do smell like. About Donald Chaffin (Illustrator) : Donald Chaffin is a published illustrator of children's books. 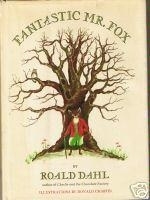 Published credits of Donald Chaffin include Fantastic Mr. Fox (Windrush). 12/10/2014 Chris Sykes said: This, as well as all of Roald Dahl's books, has been a huge influence to me. I think this is my favourite but it is hard to pick a favourite when he wrote so many great stories. 8/31/2009 Danielle Wright said: I wrote a review of this book for the local newspaper when I was seven, won some book vouchers and got thumped by my brother for being such a swat! But I still love the book.